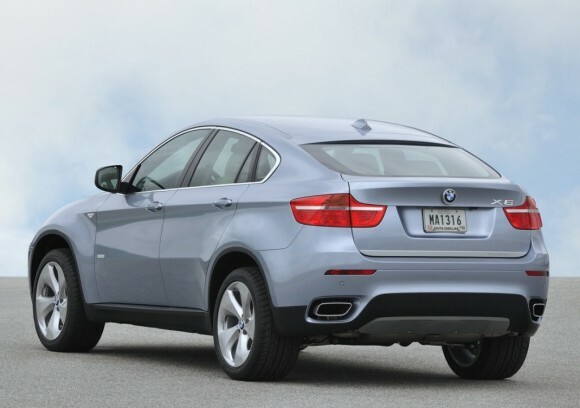 BMW has announced the production version of the BMW ActiveHybrid X6. The BMW ActiveHybrid X6 will make its world premiere at the 2009 Frankfurt Motor Show in September and will reach U.S. BMW Centers in fourth-quarter 2009. BMW ActiveHybrid technology offers a significant increase in driving dynamics and at the same time reduces fuel consumption by approximately 20% versus a comparable vehicle powered by a combustion engine alone. The overall drive system featured in the BMW ActiveHybrid X6 consists of a 400 hp twin-turbocharged V8 gasoline engine and two electric synchronous motors delivering 91 hp and 86 hp, respectively. Maximum system output is 480 hp, and peak torque reaches 575 lb-ft. Precisely controlled interaction of the three power units optimizes the overall efficiency of the BMW ActiveHybrid X6 at all speeds, with acceleration from a standstill to 60 mph in 5.4 seconds. Top speed of the BMW ActiveHybrid X6 is limited electronically to 130 mph, with average fuel consumption in the EU test cycle improved by roughly 20%. BMW’s first full hybrid model is able to run exclusively on electric power – and that is entirely free of CO2 – up to a speed of 37 mph, with the combustion engine being activated automatically whenever required. 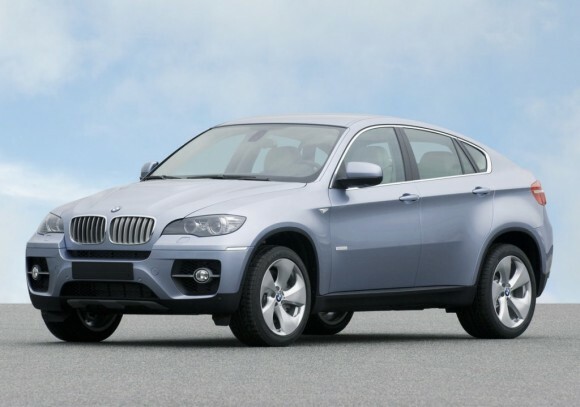 While driving electrically, the BMW ActiveHybrid X6 retains all its safety and comfort functions. The brakes remain fully operative thanks to electric vacuum supply, and don’t require the combustion engine to develop their full effect. The same applies to the Electronic Power Steering, with steering assistance being generated on demand by an electric motor. The BMW ActiveHybrid X6 features an enhanced version of Brake Energy Regeneration already used in some current BMW models running on a combustion engine alone. In this case the electric motors act as generators when coasting or applying the brakes in order to feed electric power into the battery pack. The high-performance battery pack comes with its own liquid cooling system incorporating a heat exchanger to cool the battery pack through the flow of air from the outside and, additionally, through a cooling circuit from the air conditioning system.